Description: Samir and Nagla Al-Menshawy appear to have attained the American dream. After immigrating to the United States from Egypt, Samir successfully works his way through a residency and launches his own medical practice as Nagla tends to their firstborn, Hosaam, in the cramped quarters of a small apartment. 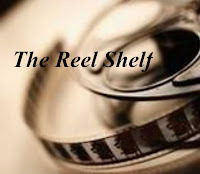 Soon the growing family moves into a big house in the manicured New Jersey suburb of Summerset, where their three children eventually attend school with Natalie Bradstreet, the daughter of their neighbors and best friends. More than a decade later, the family’s seemingly stable life is suddenly upended when a devastating turn of events leaves Hosaam and Natalie dead and turns the Al-Menshawys into outcasts in their own town. Review: Hassib's debut novel is timely, sensitive, and offers no easy answers. The Al-Menshawys are Egyptian, Muslim immigrants to a small New Jersey town. They were once loved and embraced into their tight, niche community until a tragedy ostracized them with prejudice and shaming them with Islamophobia. The author does not hold back on how awful the family is treated. Though the actual events of the tragedy are slowly revealed, they are not the focus of the story but rather how the family members react to it. The novel takes place over the five days leading up to the memorial service for Natalie, the neighbors and once close friends with the Al-Menshawys. We watch how each member of the Al-Menshawys struggles to come to terms with the memorial service and through the character's memories and flashbacks we follow the family's struggle of assimilating to the United States. Mother Nagla is paralyzed by grief and guilt. She is a traditional, conservative wife who still relies on her mother, Ehsan, to run the household while she broods and sulks in the house. She is absolutely appalled when her husband, Samir, a one-time respected doctor, decides that a memorial service is the perfect opportunity to rejoin the community and to clear the air of any misunderstanding. The author does a nice job in showing the range of emotions from the older generation such as Samir's overbearing personality, Nagla's passive-aggressive attitude, Ehsan's sole reliance on faith and whatever is "God's will" as well as interfering and manipulative nature and the yearning for direction in the new generation. Though all the characters are equally interesting, I was more drawn to the remaining siblings. Fatima, the youngest, has turned to religion as a source of comfort. She is becoming more pious and modest in clothing, experimenting with wearing the hijab which her family feels is adding to growing reasons why their family is singled out by their community. In contrast, Khaled is re-evaluating his entire identity and blames his brother for controlling the whole family's behavior and internally clashes with his own desires and his family's expectations. The bonds of love and loyalty in the Al-Al-Menshawys is authentic and palpable. The situation they find themselves in would threaten to fracture any family. The climax at the memorial service is gut wrenching, awkward, and painful as it would be in real life. The epilogue does provide a ray of hope that affirms that people can survive even the most horrific traumas. 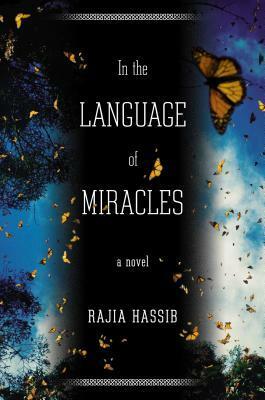 In the Language of Miracles is steeped in Egyptian culture and in Islam without being didactic while turning a sharp eye on the immigrant experience. I really enjoyed this book and I'm looking forward to reading another book by Hassib. Words of Caution: There is some language in the book and disturbing images. Recommended for older teens and adults. This sounds like a great book to read in light of the turbulence going on in our country. I am curious now as to what happened to the girls and why the family was shunned. Great review, Rummanah. This sounds very interesting. Possibly a good one to encourage more of my teens to read. Great thoughts. Thanks.